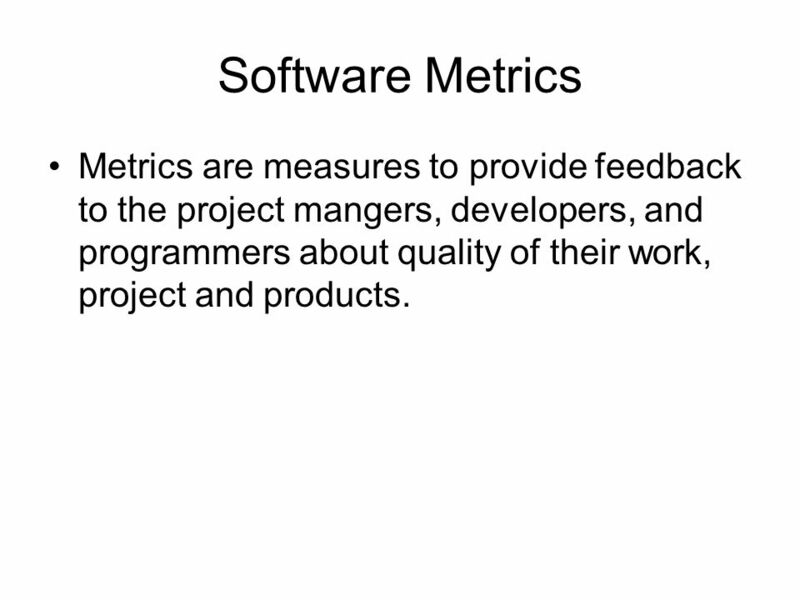 2 Software Metrics Metrics are measures to provide feedback to the project mangers, developers, and programmers about quality of their work, project and products. 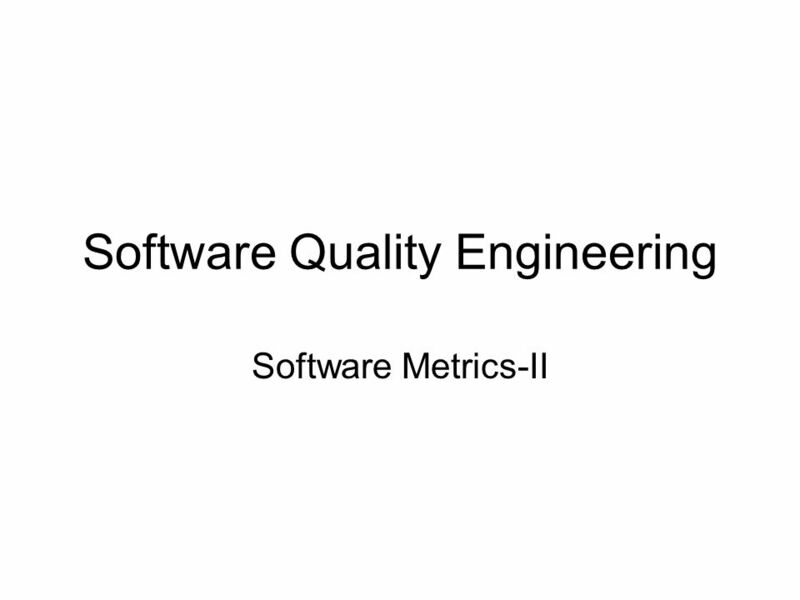 The essence of software quality engineering is to investigate the relationship among in-process metrics, project characteristics, and end product quality; and, based on the findings, to engineer improvements in both process and product quality. 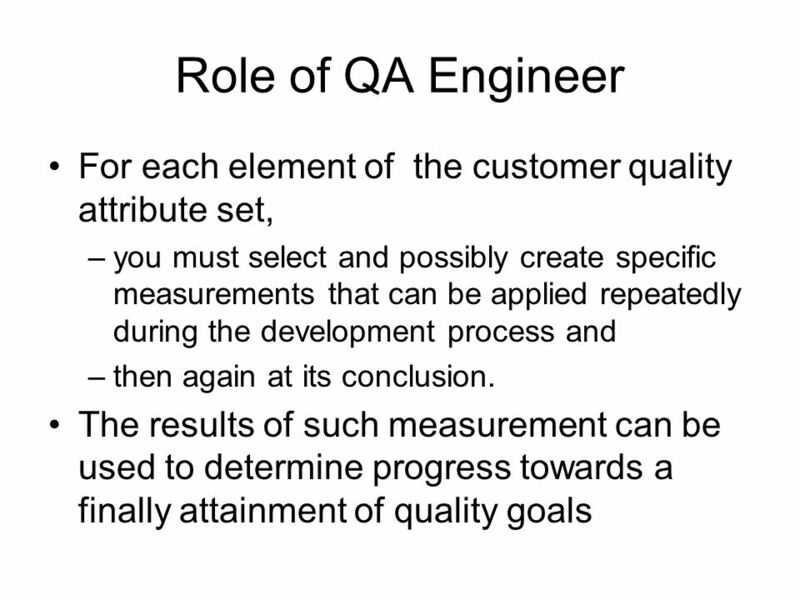 In Customer-oriented SQA, the quality attribute set drives the metrics selection and development process. 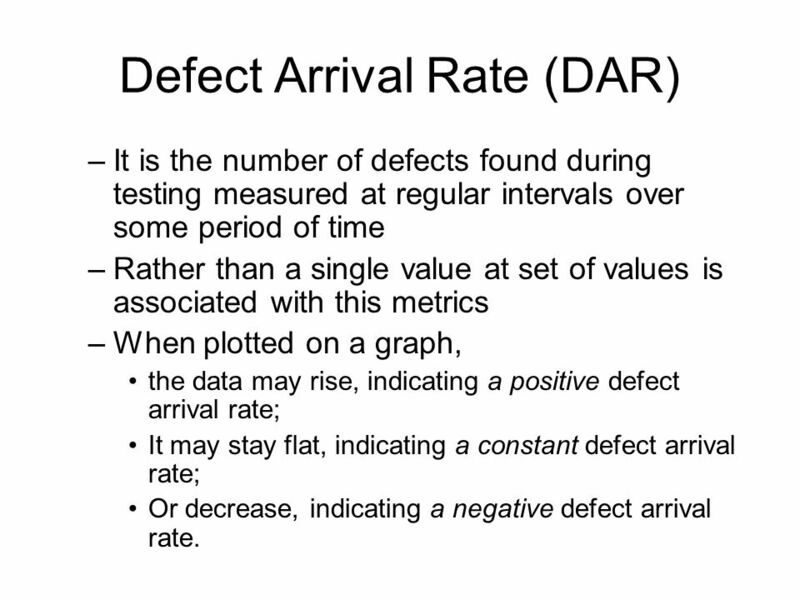 It is the number of defects found during testing measured at regular intervals over some period of time Rather than a single value at set of values is associated with this metrics When plotted on a graph, the data may rise, indicating a positive defect arrival rate; It may stay flat, indicating a constant defect arrival rate; Or decrease, indicating a negative defect arrival rate. 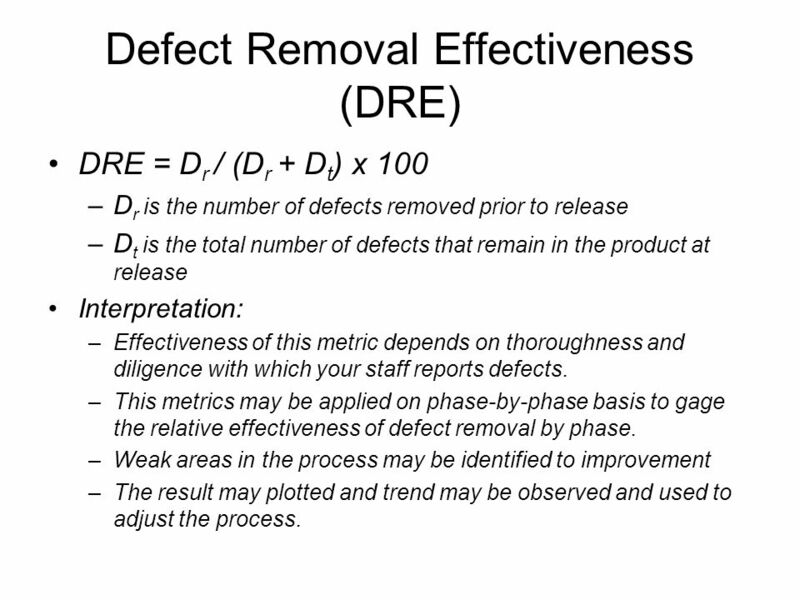 DRE = Dr / (Dr + Dt) x 100 Dr is the number of defects removed prior to release Dt is the total number of defects that remain in the product at release Interpretation: Effectiveness of this metric depends on thoroughness and diligence with which your staff reports defects. 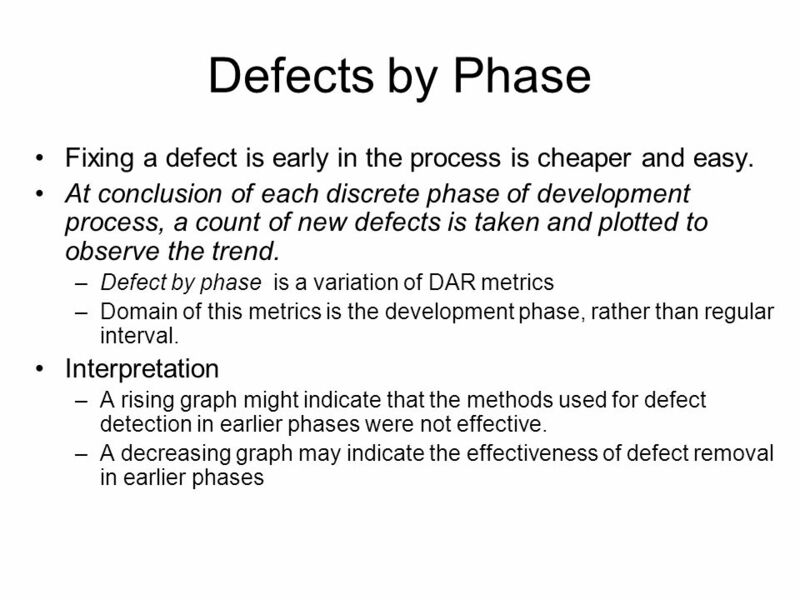 This metrics may be applied on phase-by-phase basis to gage the relative effectiveness of defect removal by phase. 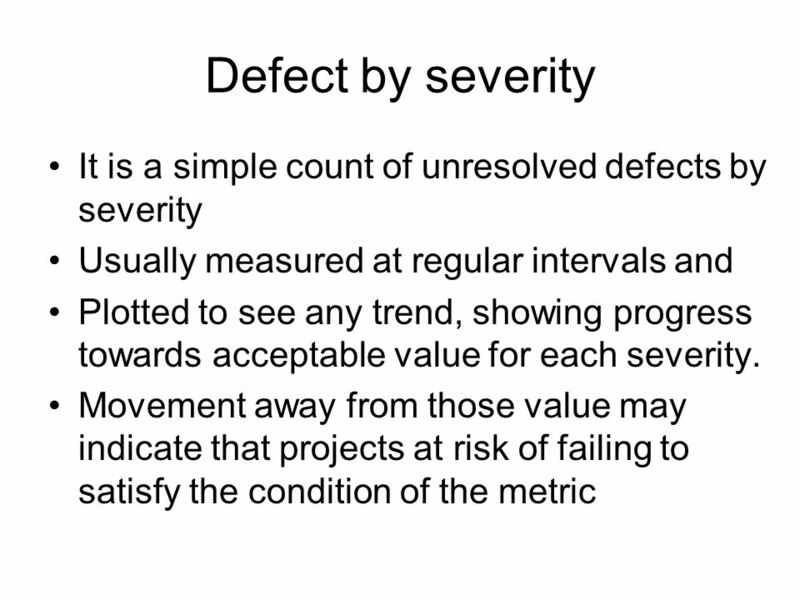 Weak areas in the process may be identified to improvement The result may plotted and trend may be observed and used to adjust the process. 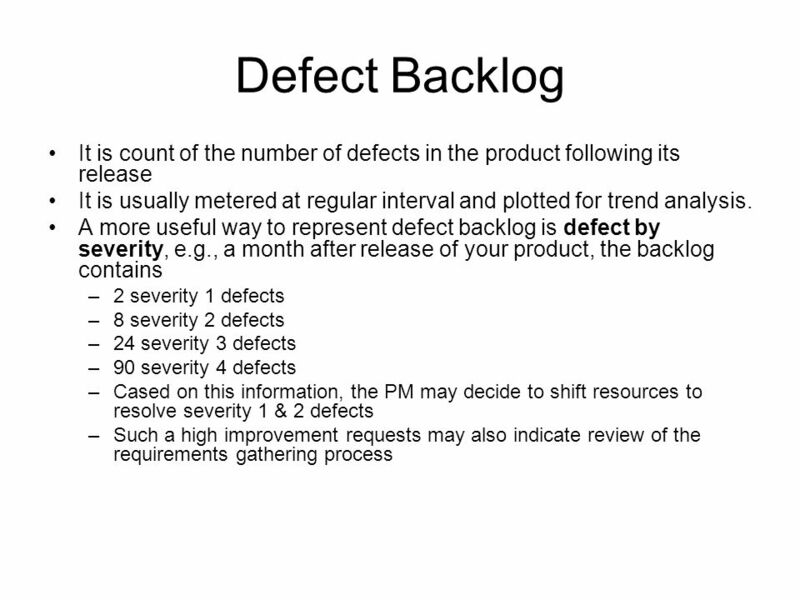 Problems arise after product release New problems arrive that impact the net result of your team’s efforts to reduce the backlog. 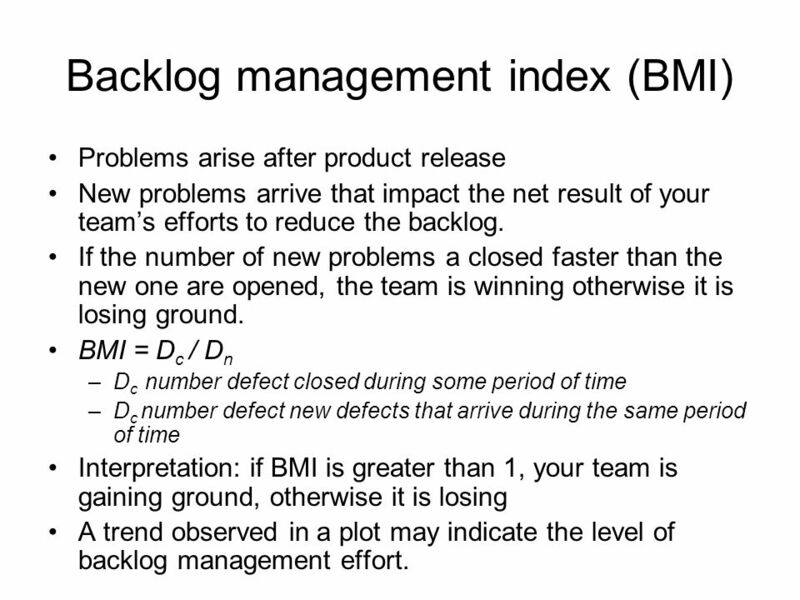 If the number of new problems a closed faster than the new one are opened, the team is winning otherwise it is losing ground. 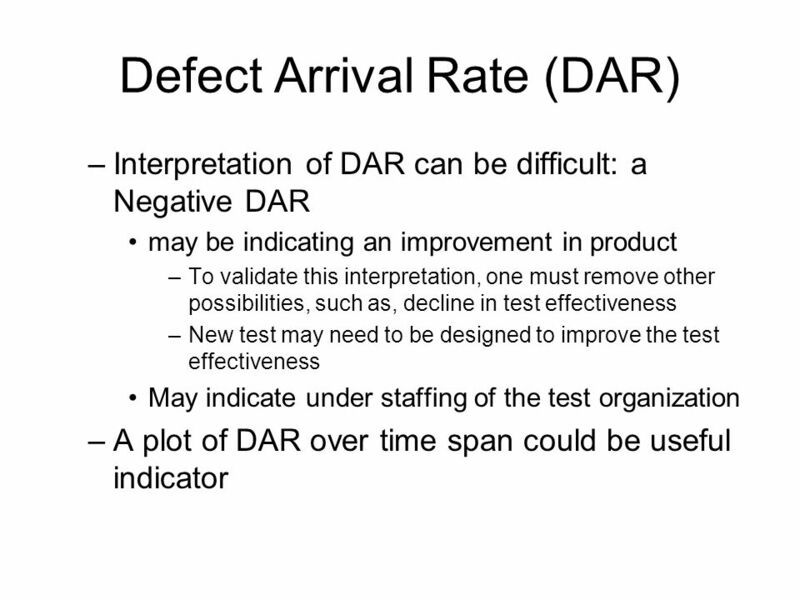 BMI = Dc / Dn Dc number defect closed during some period of time Dc number defect new defects that arrive during the same period of time Interpretation: if BMI is greater than 1, your team is gaining ground, otherwise it is losing A trend observed in a plot may indicate the level of backlog management effort. 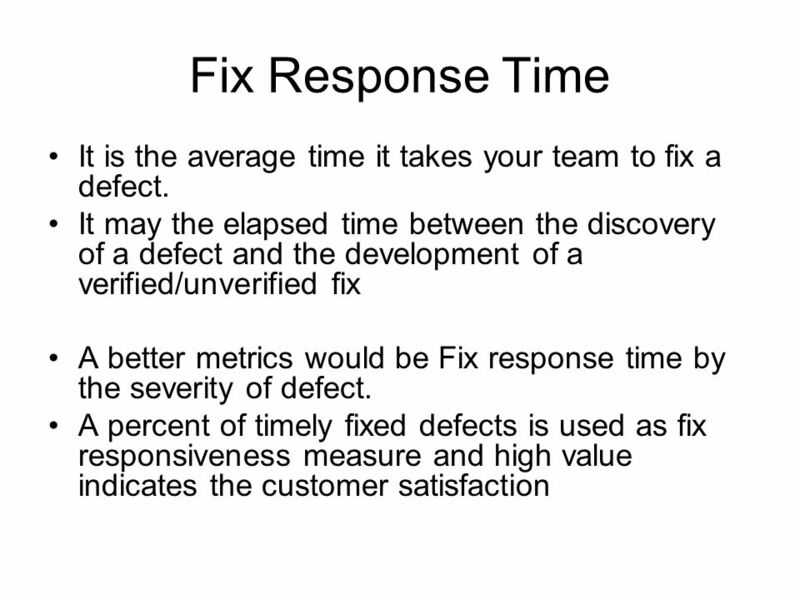 Afix is delinquent if it exceeds your fix response criteria. 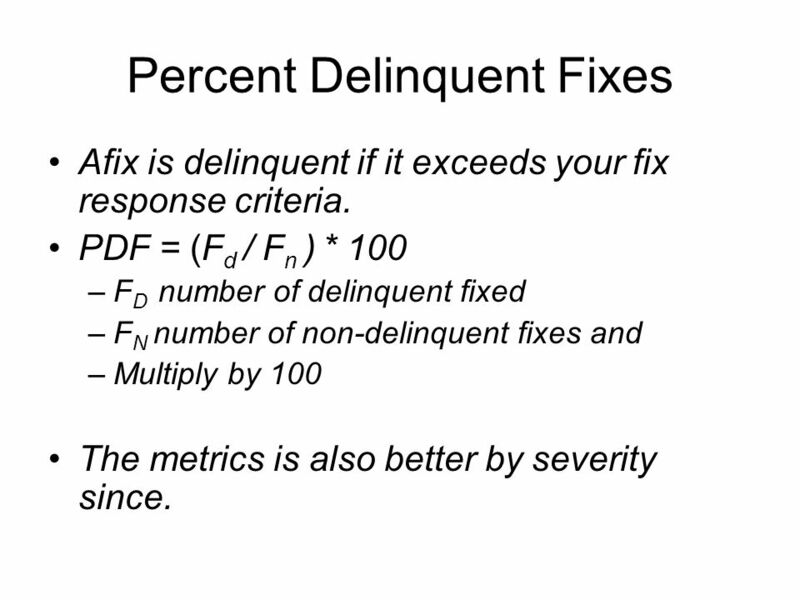 PDF = (Fd / Fn ) * 100 FD number of delinquent fixed FN number of non-delinquent fixes and Multiply by 100 The metrics is also better by severity since. 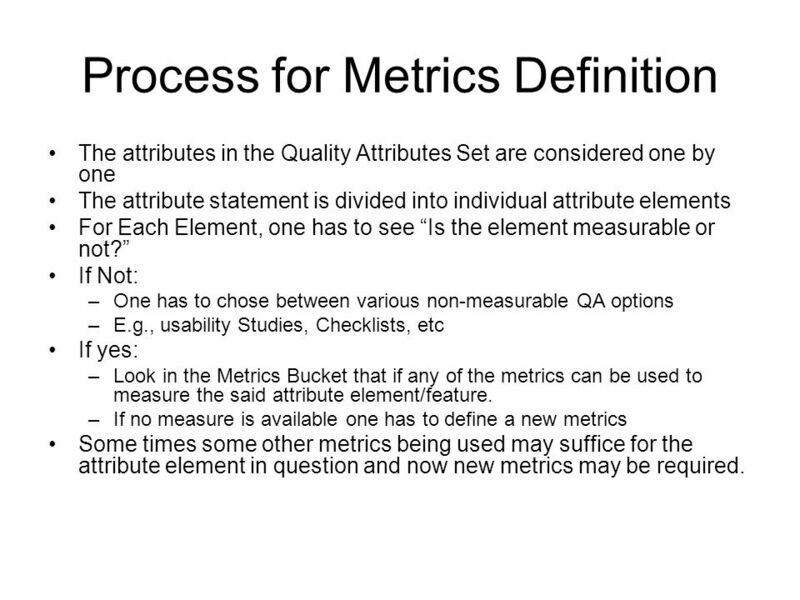 The attributes in the Quality Attributes Set are considered one by one The attribute statement is divided into individual attribute elements For Each Element, one has to see “Is the element measurable or not?” If Not: One has to chose between various non-measurable QA options E.g., usability Studies, Checklists, etc If yes: Look in the Metrics Bucket that if any of the metrics can be used to measure the said attribute element/feature. 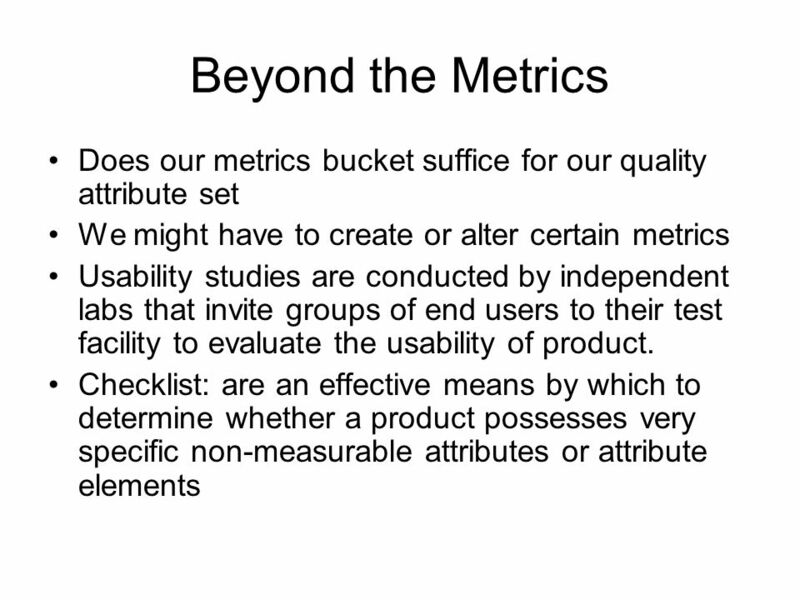 If no measure is available one has to define a new metrics Some times some other metrics being used may suffice for the attribute element in question and now new metrics may be required. 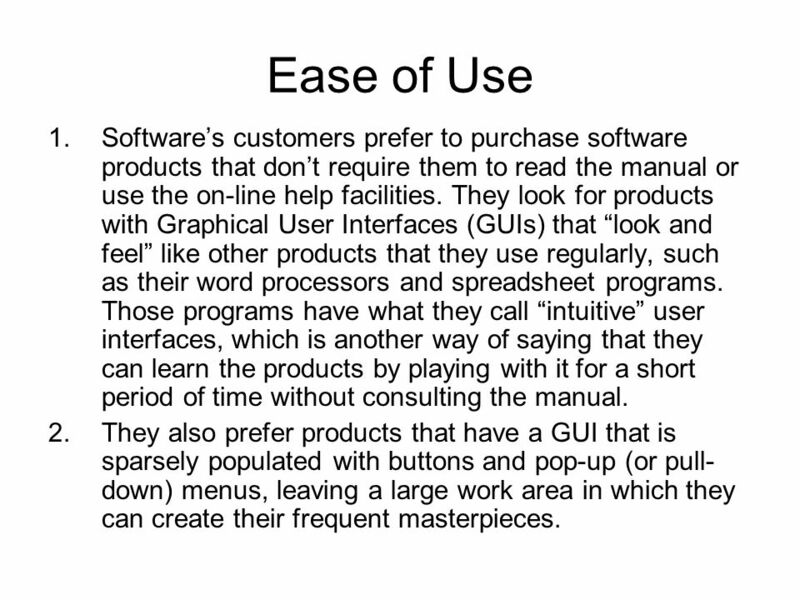 27 Ease of Use Software’s customers prefer to purchase software products that don’t require them to read the manual or use the on-line help facilities. 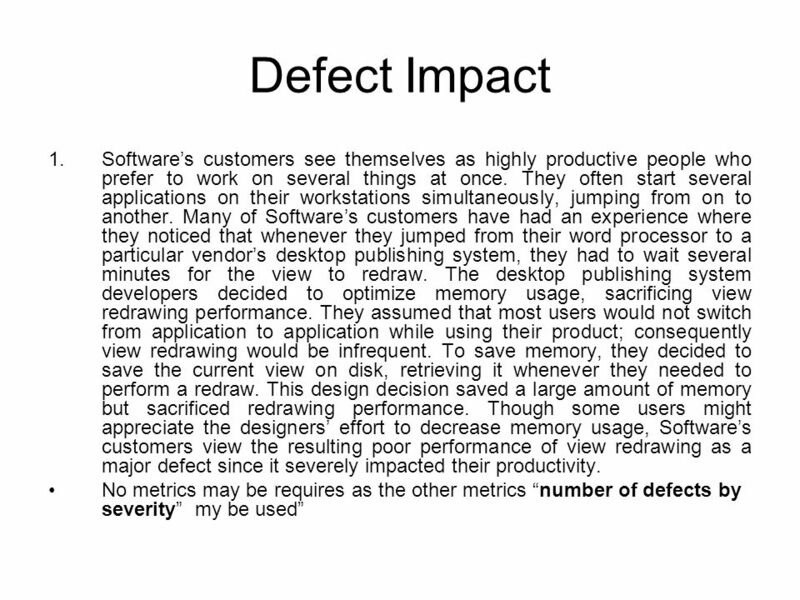 They look for products with Graphical User Interfaces (GUIs) that “look and feel” like other products that they use regularly, such as their word processors and spreadsheet programs. 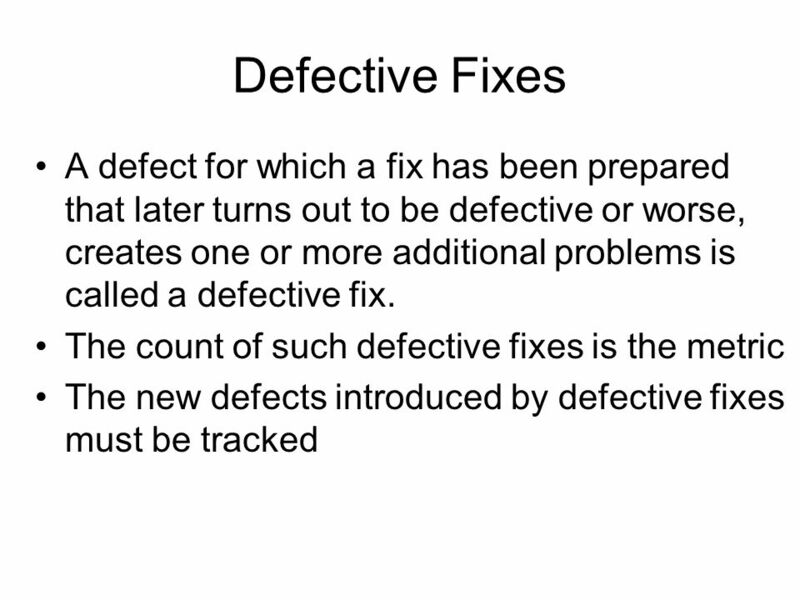 Those programs have what they call “intuitive” user interfaces, which is another way of saying that they can learn the products by playing with it for a short period of time without consulting the manual. 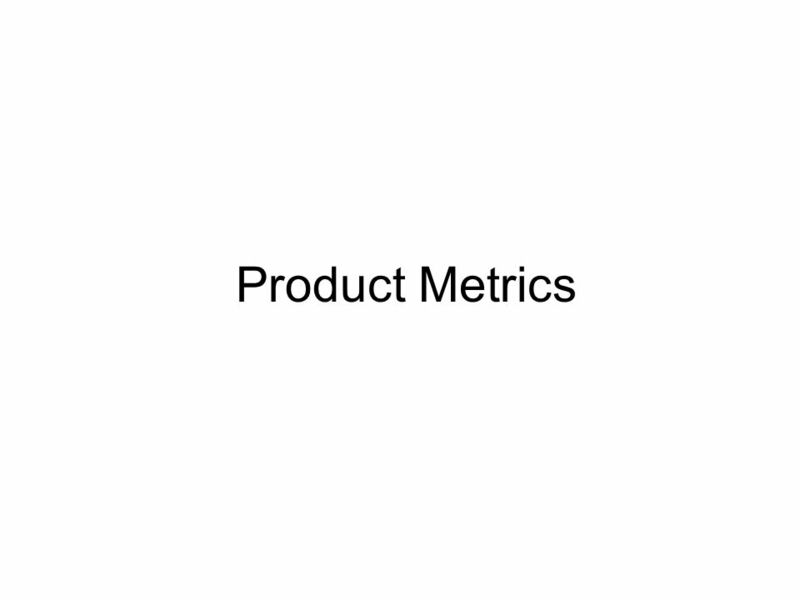 They also prefer products that have a GUI that is sparsely populated with buttons and pop-up (or pull-down) menus, leaving a large work area in which they can create their frequent masterpieces. 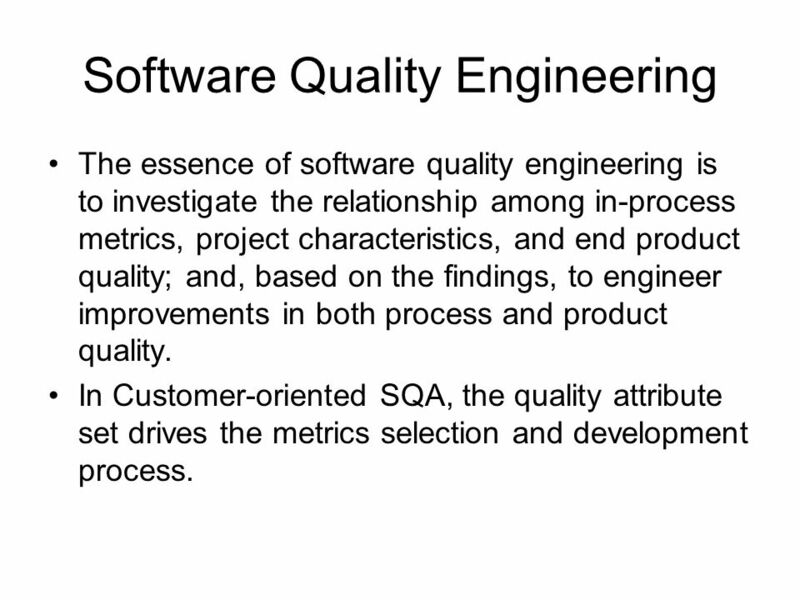 Download ppt "Software Quality Engineering"
These courseware materials are to be used in conjunction with Software Engineering: A Practitioner’s Approach, 6/e and are provided with permission by. 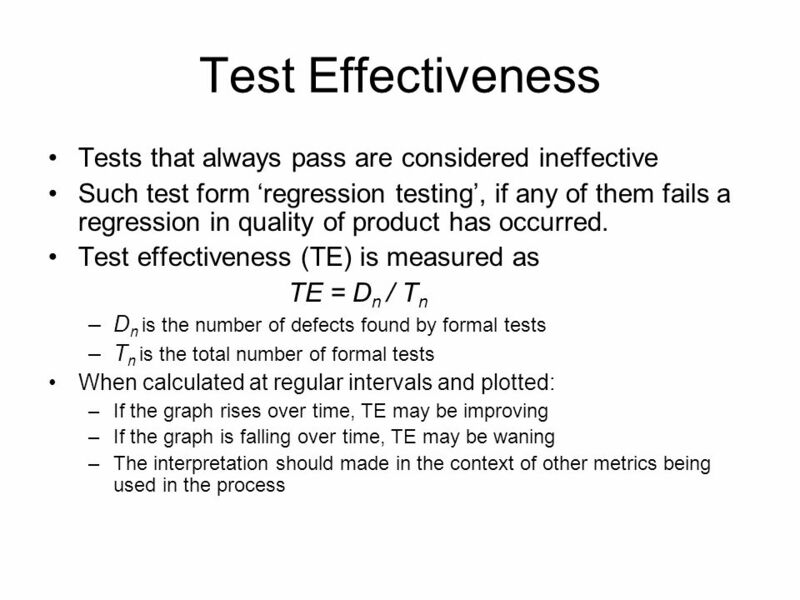 1 These courseware materials are to be used in conjunction with Software Engineering: A Practitioner’s Approach, 5/e and are provided with permission by. 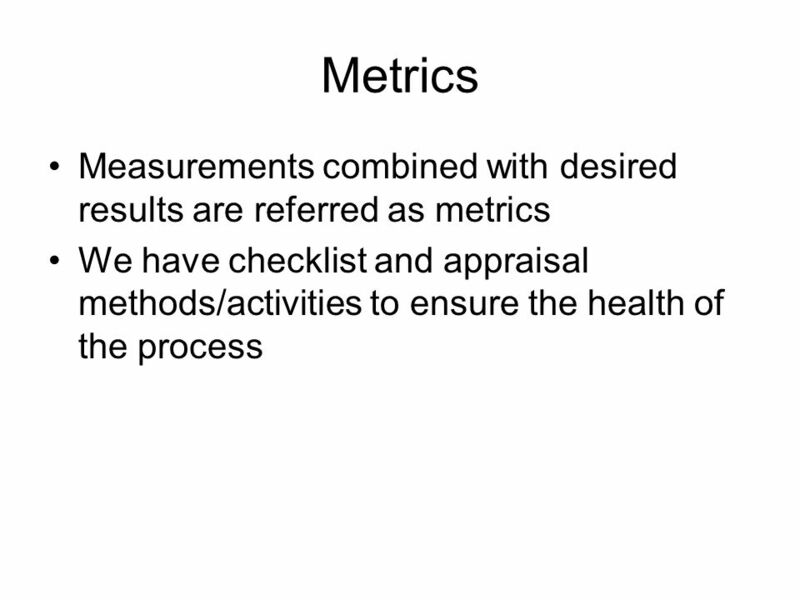 1 In-Process Metrics for Software Testing Kan Ch 10 Steve Chenoweth, RHIT Left – In materials testing, the goal always is to break it! That’s how you know. 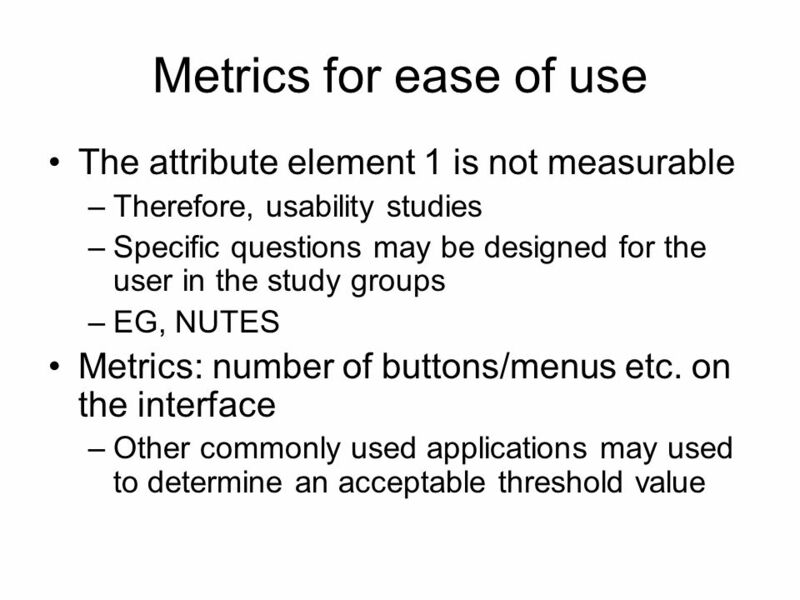 Copyright 2000, Stephan Kelley1 Estimating User Interface Effort Using A Formal Method By Stephan Kelley 16 November 2000. 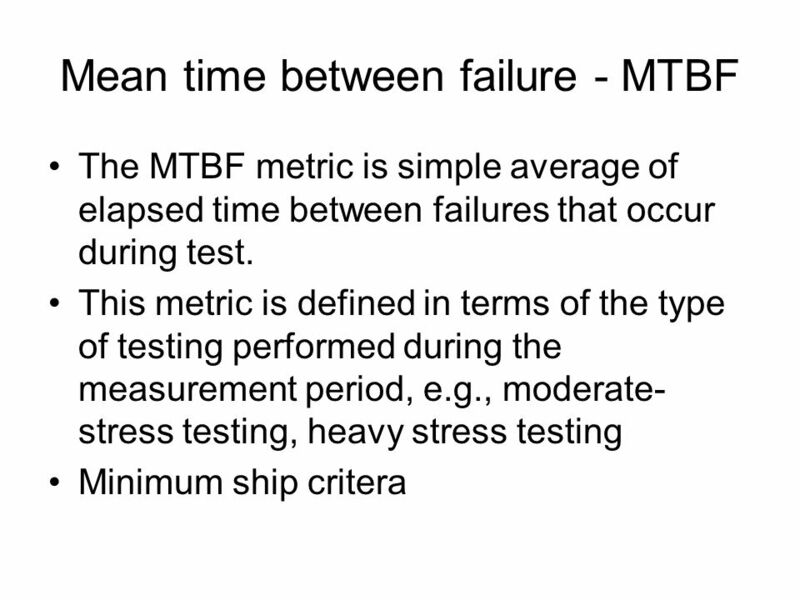 SE 450 Software Processes & Product Metrics Reliability: An Introduction. 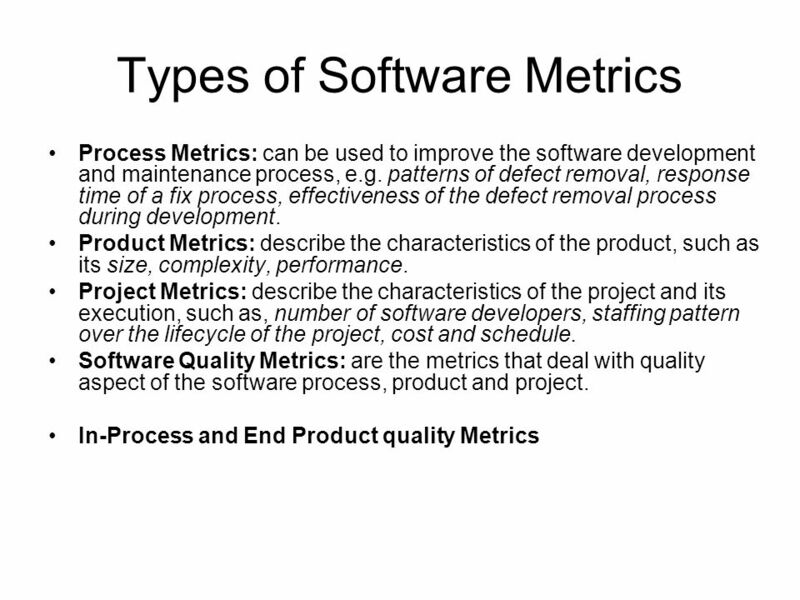 SE 450 Software Processes & Product Metrics Software Metrics Overview. 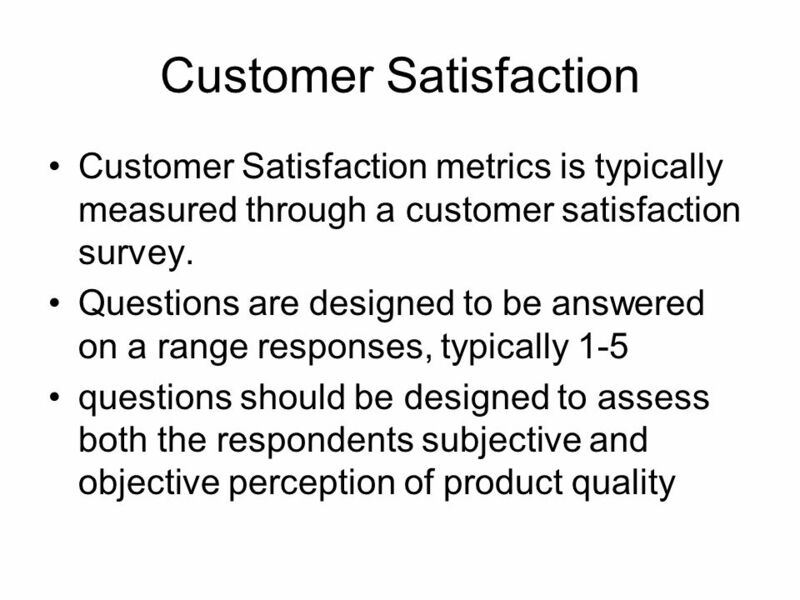 Chapter 9 Audit Sampling: An Application to Substantive Tests of Account Balances McGraw-Hill/Irwin ©2008 The McGraw-Hill Companies, All Rights Reserved. 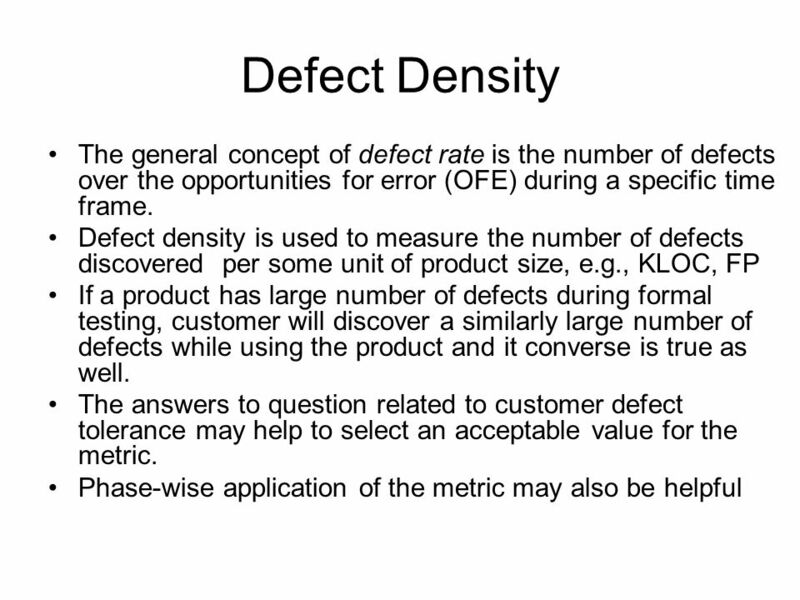 SE 450 Software Processes & Product Metrics 1 Defect Removal. 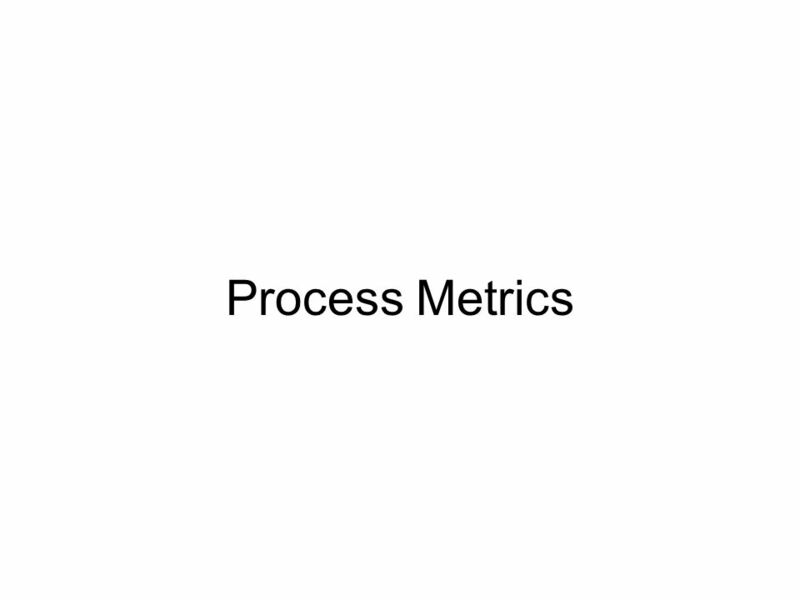 SE 450 Software Processes & Product Metrics Activity Metrics. 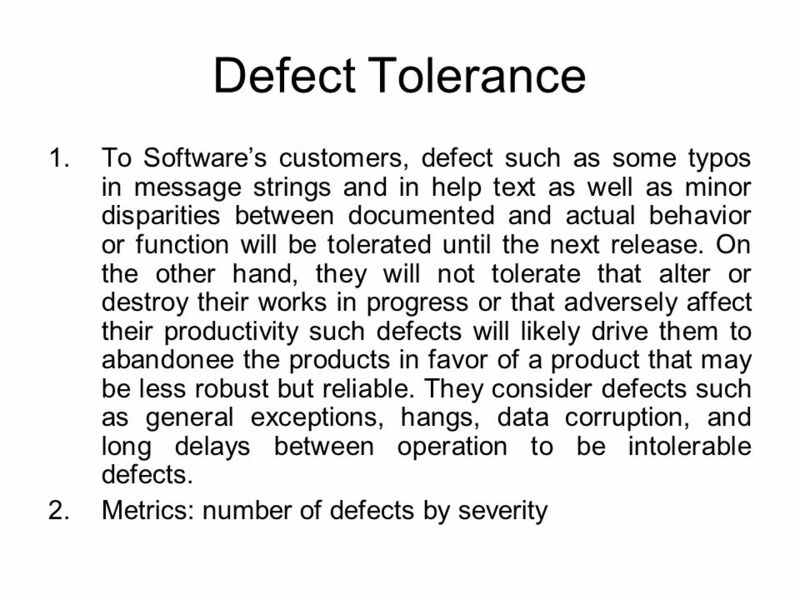 (c) 2007 Mauro Pezzè & Michal Young Ch 1, slide 1 Software Test and Analysis in a Nutshell. 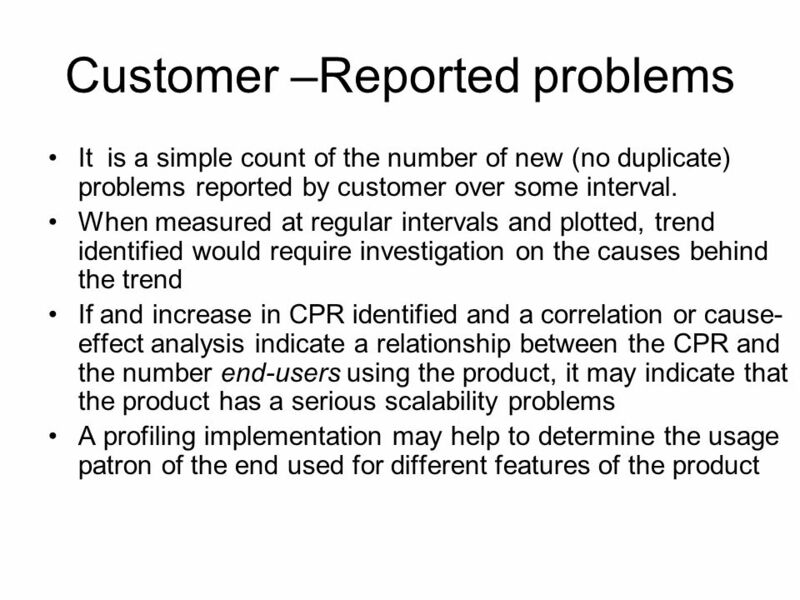 Cmpe 589 Spring 2008. 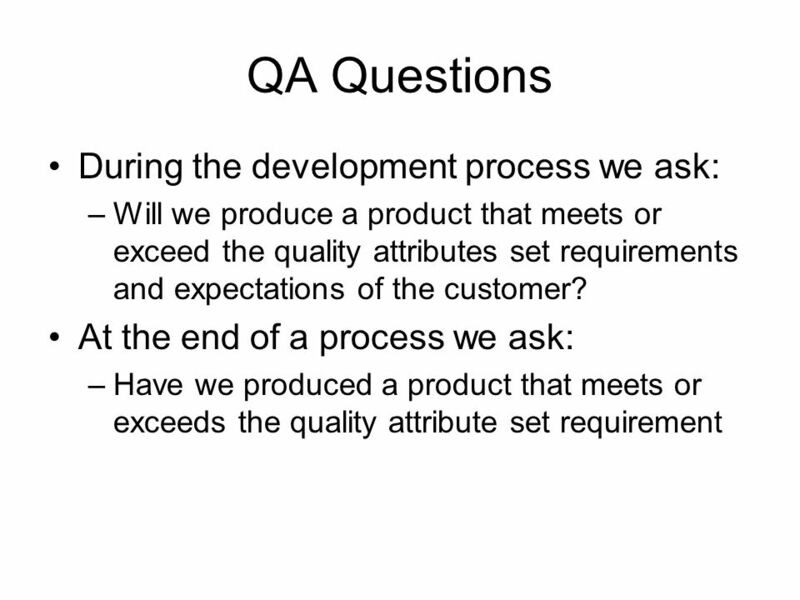 Software Quality Metrics Product  product attributes –Size, complexity, design features, performance, quality level Process  Used.